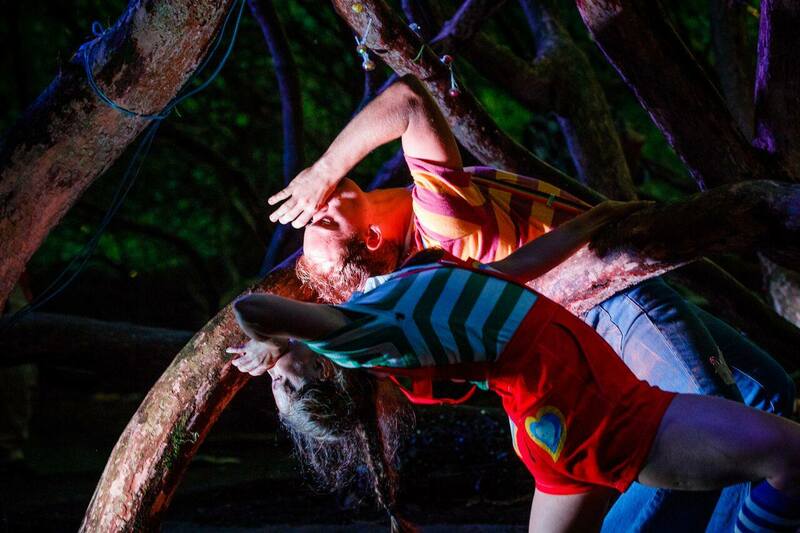 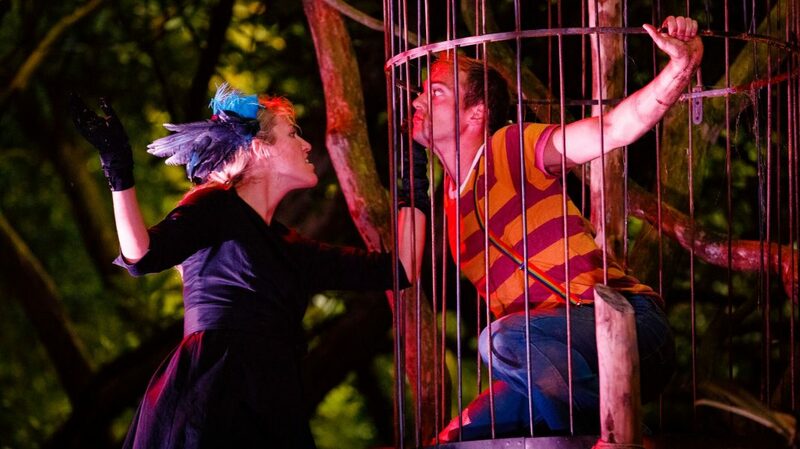 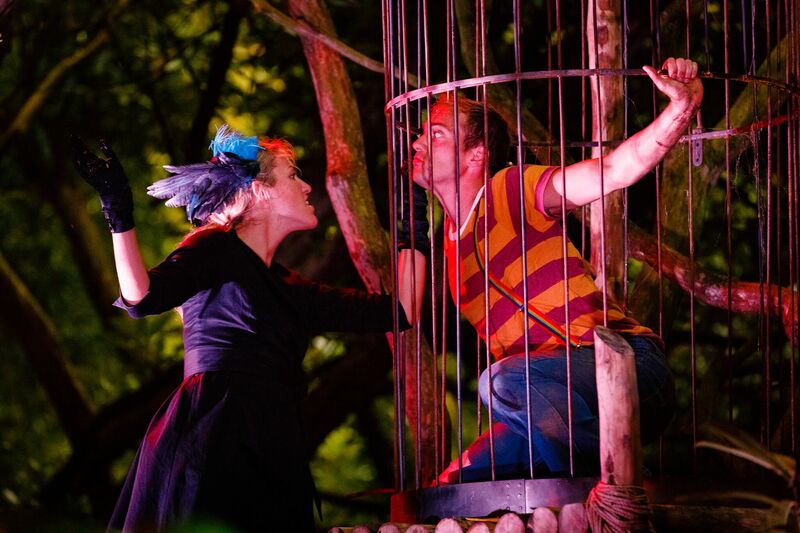 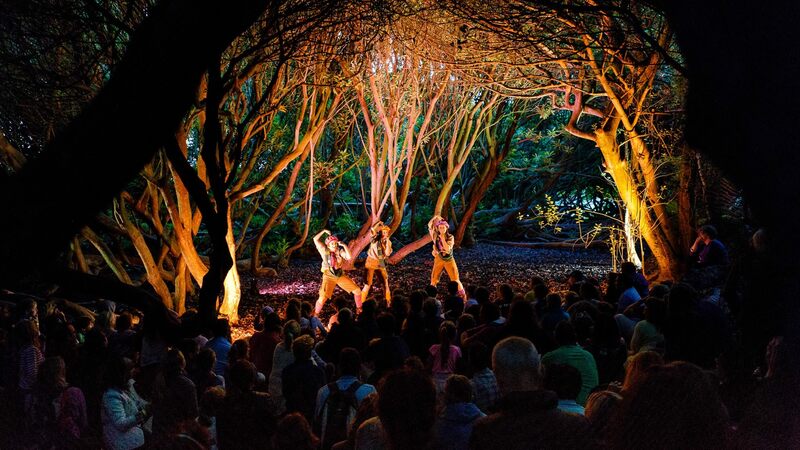 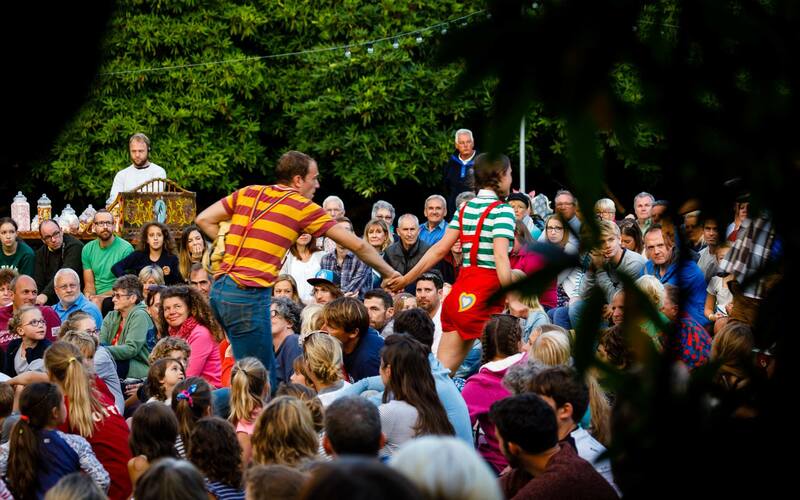 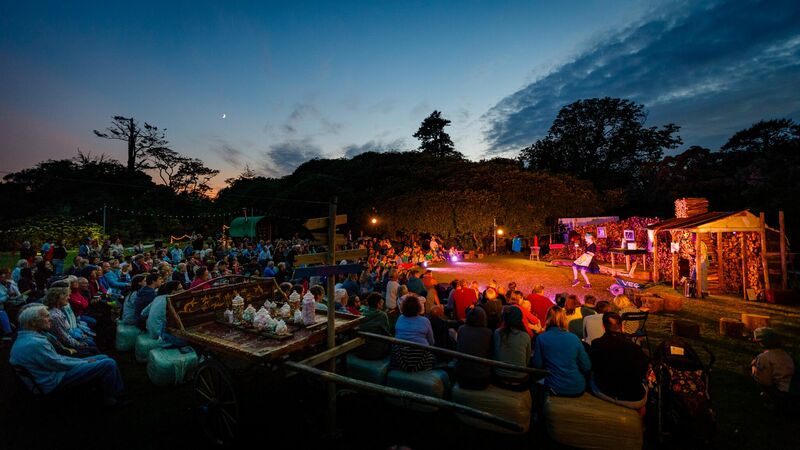 In 2017 Antony Waller and Christina Cross met with Alex Smit and the Heligan team to talk about a bespoke performance project for Heligan for the summer of 2018 and came away with a commission to create a family show for the summer of 2017 instead. 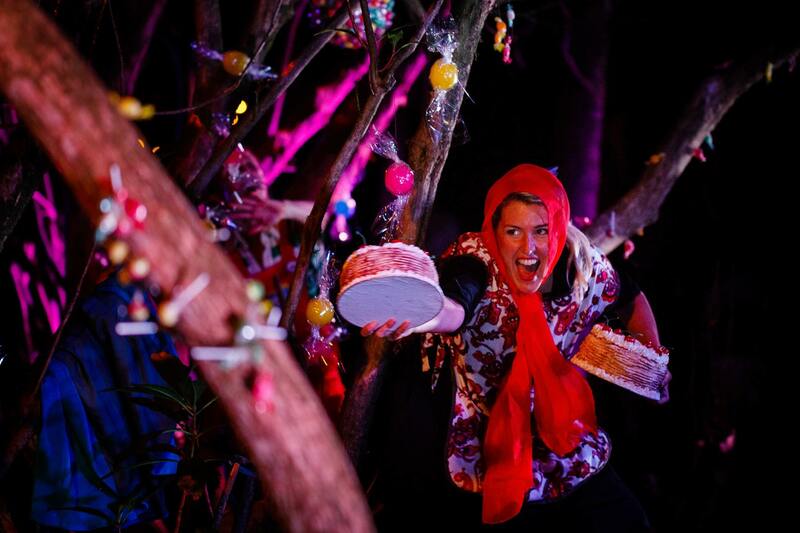 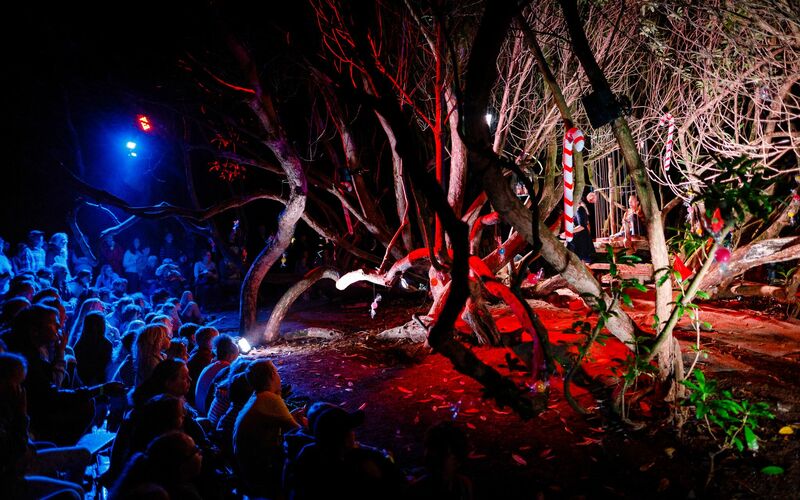 All we knew about the show was that it was going to be family friendly with a strong narrative, we knew intuitively that Sally Knight at Cscape was the right person to bring on board and Hansel and Gretel was born. 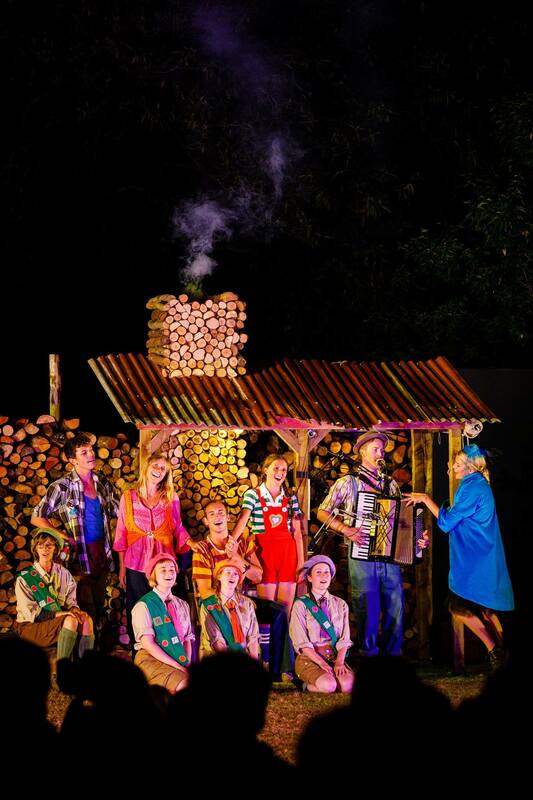 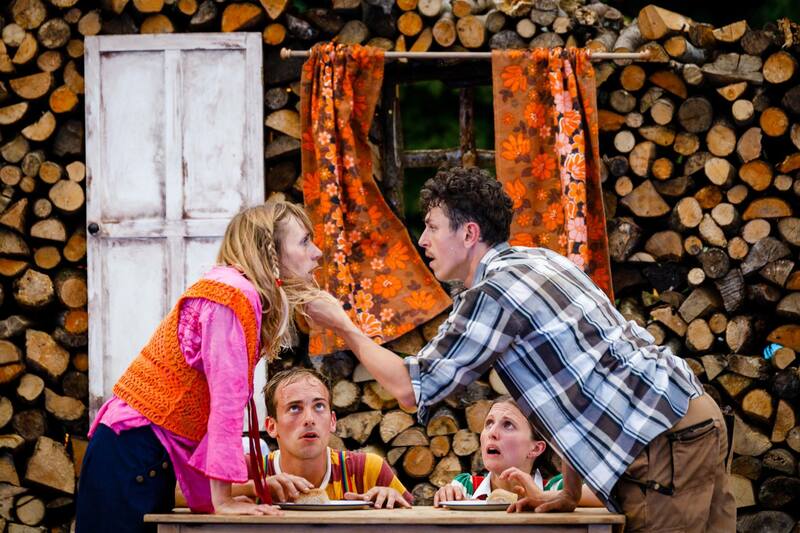 Over 3,000 people saw Hansel and Gretel at 10 sold out shows over 2 weeks at the end of August in 2017. 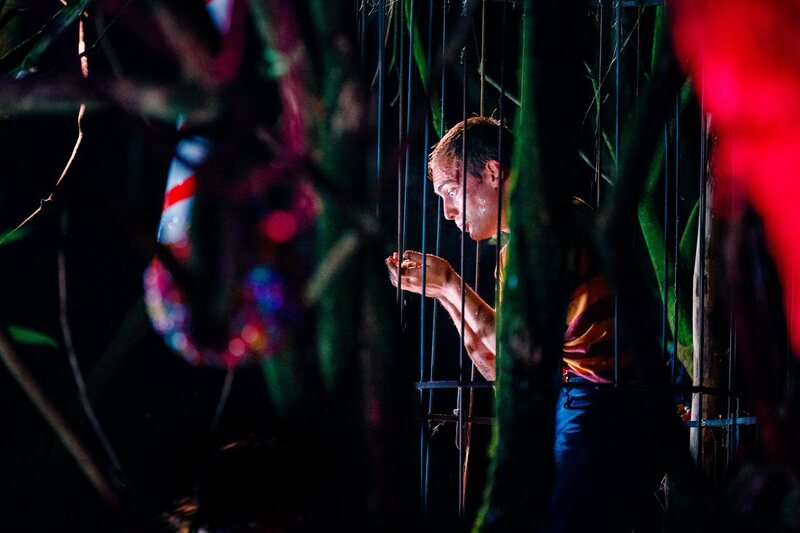 The script and story for this re-telling was written by Callum Mitchell who created a compelling and dark, but also very funny version of the well loved story. 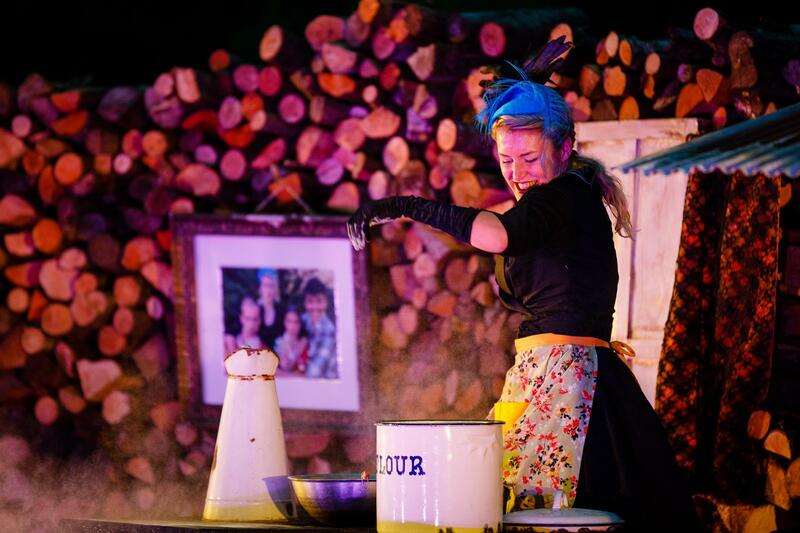 With a cast of 11 performers gathered from all over the globe including Jessamin Landamore– possible the most glamorous witch ever – who came from Sri Lanka to be part of the production. 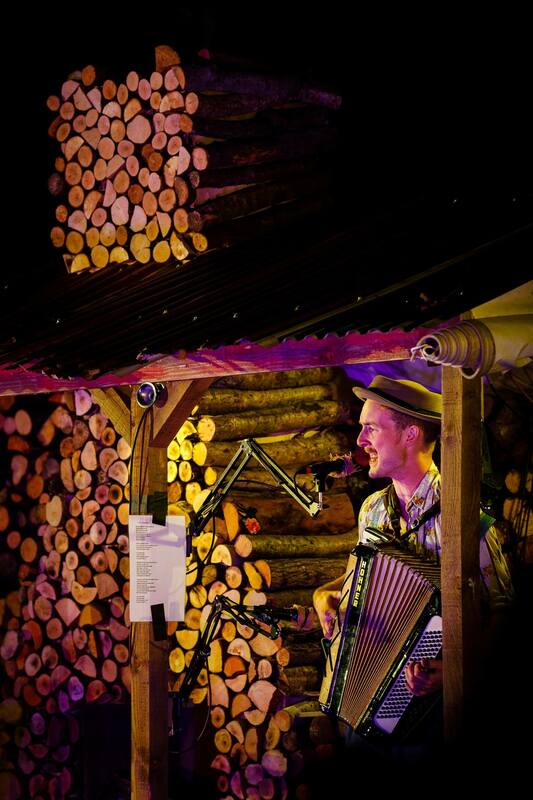 Seamas Carey designed the score and many original pieces for the show- He also performed as the Troubadour a travelling musician and storyteller. 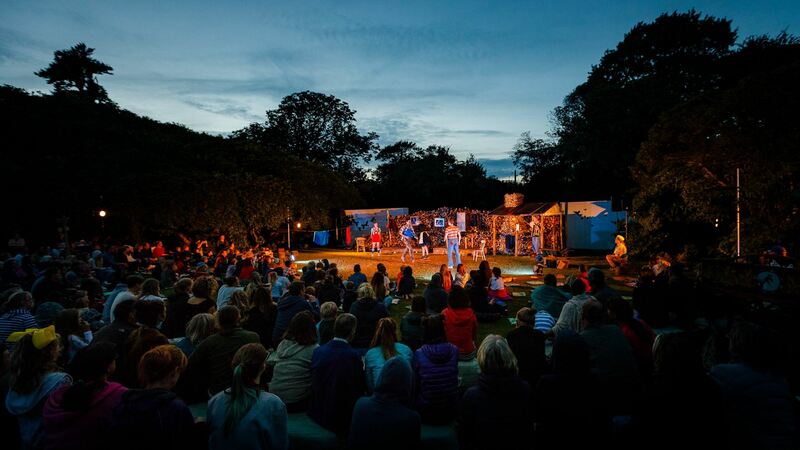 During one of the wettest summers in Cornwall we managed all 10 shows in the dry with rain holding off until the encores for the last show.